To celebrate the 10 year anniversary we had a special feature commissioned in the local magazine Spotlight on Stowmarket. The photographer Lisa and Editor Peter came along a few weeks ago to interview and photograph us. 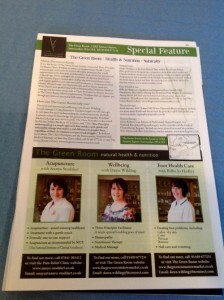 The feature has just been published in the Feb magazine. I think it looks pretty good!